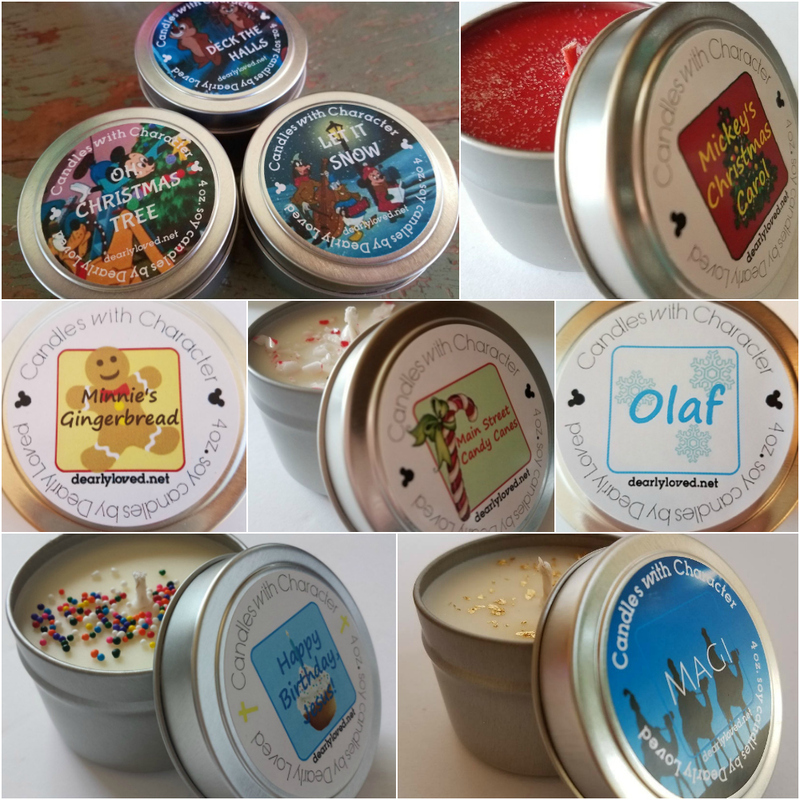 Christmas Candle Trio – Just in time to make things merry and bright, Lyn is offering a jolly candle trio! Oh, Christmas Tree – A brisk and refreshing evergreen tree scent. Deck the Halls – Take a walk through a cozy neighborhood, filled with chimney smoke, bare trees, and winter breezes. Let It Snow – A clean fragrance, with crisp, frosty snow flurries. Minnie’s Gingerbread – Minnie is busy in her kitchen, baking gingerbread treats for her and Mickey to decorate. The scent of this soy wax candle is fresh baked gingerbread.